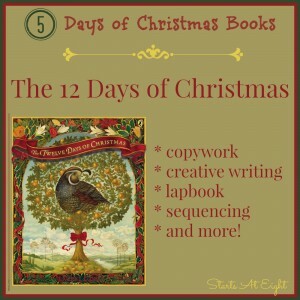 This is the last day in my 5 day series: 5 Days of Christmas Books. 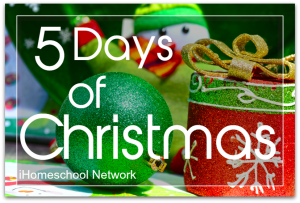 I started with the 12 Days of Christmas. 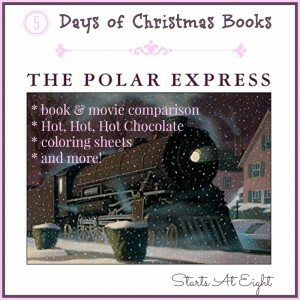 Then I covered The Polar Express, Frosty the Snowman, and A Christmas Carol. 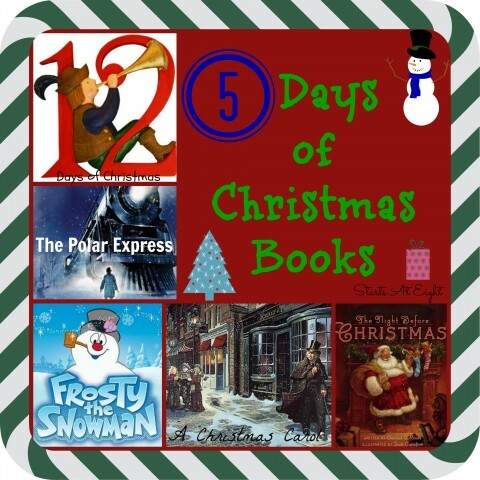 Today’s book is Twas the Night Before Christmas. This is one that sparks happy dreams in the heads of children everyone. 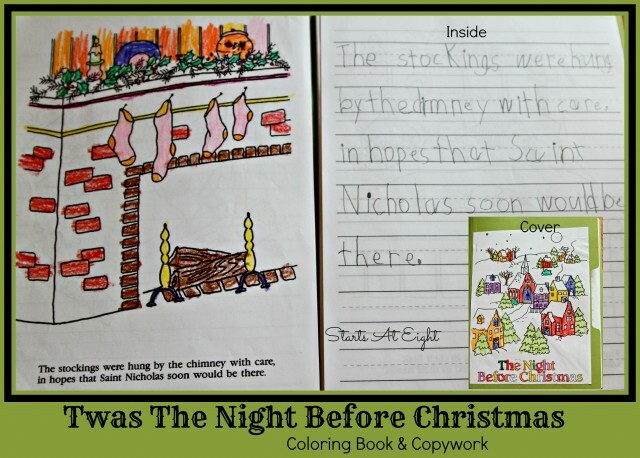 The Night Before Christmas is a treasured, fun story about a family settling down for the night on Christmas Eve and Saint Nicholas paying a visit to their house. It is alight with vivid imagery of the happenings of the night. 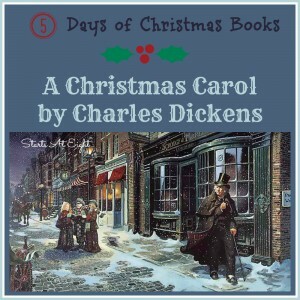 Sights and sounds come alive in this favorite holiday story. 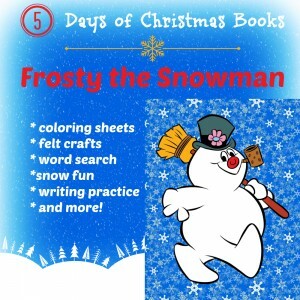 Project Pack from In the Hands of a Child – Make your lesson planning easy with this fun Literature Study that includes a 6-day Planning Guide, 17 Hands-On Activities PLUS 3 Fun Extension Activities, Related Reading List, and a 10-page Research Guide that includes a mini biography of the author, discussion questions to help introduce, read, and recall the poem, an introduction to Saint Nicholas, Santa Claus, reindeer, poetry, and more! This printable from Lines of Time is a fun way to read and fill in the blanks of the story. 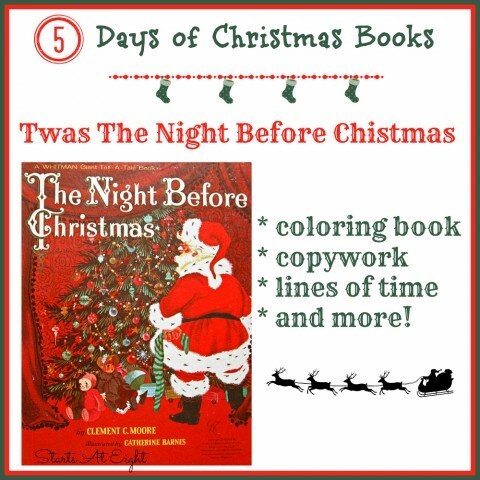 Twas The Night Before Christmas Coloring Book – This was a top of my favorites that we did last year. I printed the pages back to back with writing paper and had my daughter (2nd grade) use it as both copywork and a coloring book! It makes a great keepsake for years to come!